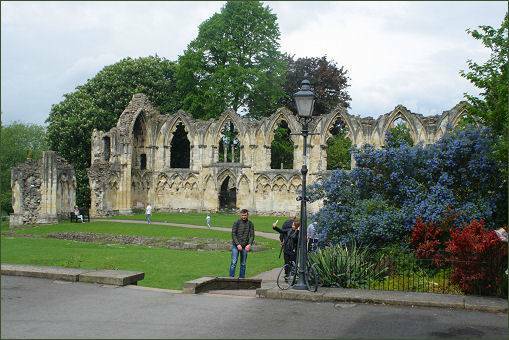 The beautiful ten-acre botanical Museum Gardens, which surround the Yorkshire Museum, cover the grounds of the former medieval St Mary's Abbey. 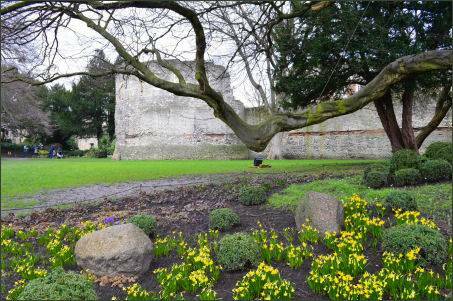 In amongst the rockeries, colourful plant borders and specimen trees stand the tangible reminders of York's historic past. The attractive gardens slope up from the River Ouse to the back of York Art Galley, and stretch from Marygate on one side to Museum Street on the other. 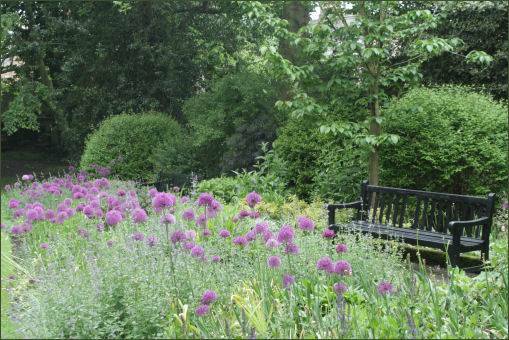 Established in the early nineteenth century by the Yorkshire Philosophical Society, and designed by landscape architect Sir John Murray Naysmith, the gardens are famous for their stunning collections of trees, shrubs, perennial plants and bulbs. 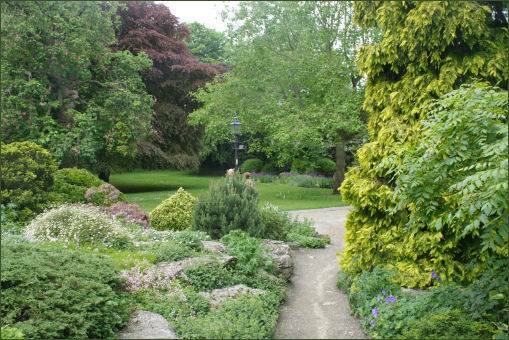 There are four entrances to the gardens- on Marygate (off Bootham) by St Olave's Church, on Museum Street by Lendal Bridge, via a path at the side of King's Manor, and from the riverside walk next to the River Ouse. 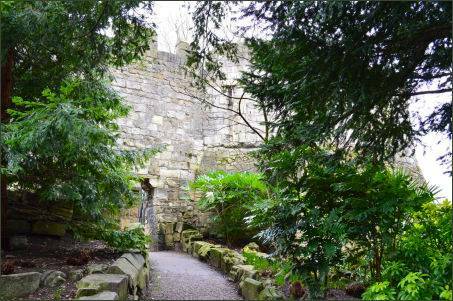 Several noteworthy historic buildings stand within the gardens, these include the remains of the west corner of the Roman fort of Eboracum, including the Multangular Tower, and parts of the Roman walls. The Romans legions arrived in York in 70AD, the fortress was constructed to house the men of the VIth legion, originally a wooden structure it was replaced in stone in around 107 A.D. The ten sided tower stands 19 feet high. It was rebuilt in the third or fourth centuries. The Multangular Tower is located in the western corner tower of the Roman fortress, standing 9 metres high, it contains stonework from both the Roman and medieval periods. It probably dates from the early third century, though it may have been built later. The larger stones on the upper half of the structure date to the medieval era. Five Roman stone coffins are housed in the tower, which were transported to the site from graveyards in York. In the same area is the Anglian Tower, which was probably built into the remains of a late Roman period fortress. 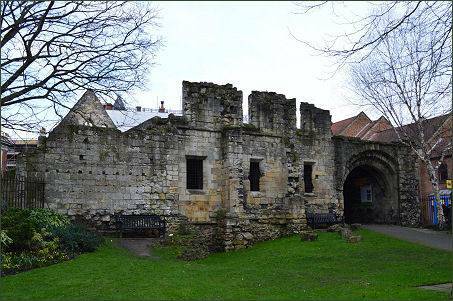 During the Middle Ages, the tower was expanded and the Roman walls were incorporated into York's city walls. Most of the other buildings dating from the medieval period and are associated with St Mary's Abbey, a Benedictine foundation with origins dating back to 1086 when Alan Count of Brittany granted St Olave's Church and the adjoining land to the monk Stephen of Whitby, who became the first abbot of St. Mary's. These buildings the ruins of the abbey church, the Hospitium and the lodge. The stone walls that surrounded the abbey were built in the 1260s and they remain the most complete set of abbey walls in the country. 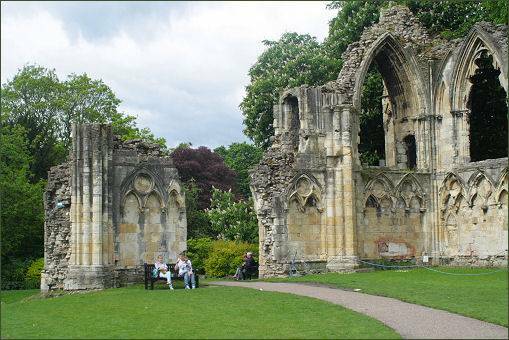 The life of the abbey came to an end at the Dissolution of the Monasteries in the reign of King Henry VIII. 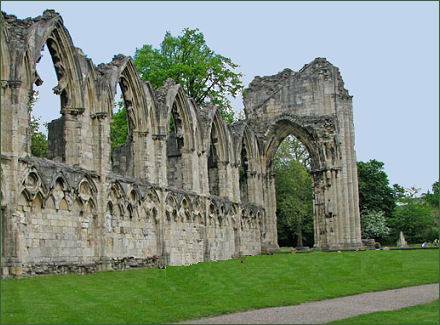 Its ruined buildings were excavated by the Yorkshire Philosophical Society from 1827 to 29, the first archaeological excavations of their kind in Britain. All that remains today are the north and west walls, plus a few other remnants- the half-timbered Pilgrims' Hospitium, the West Gate and the fourteenth century timber-framed Abbot's House. The walls include interval towers along the north and west stretches, St Mary's Tower at the northwest corner and a polygonal water tower by the riverThe Chapter House is now displayed en- situ on the lower floor of the nearby Yorkshire Museum. Part of the north and west walls that formed the nave and crossing of the abbey church (pictured left) still stand. These were designed in the Gothic style by Simon of Pabenham in the thirteenth century. St Mary's Lodge, situated at the Marygate entrance to the garden, dates from around 1470. Some remains of the twelfth century gatehouse still remain and include the archway attached to the side of the lodge. The remains of St. Leonard's Hospital chapel and undercroft are located on the east side of the gardens, by the Museum Street entrance. The hospital, which was run by the Augustinian order, was the largest in England during the Middle Ages. St. Leonard's Hospital was closed during King Henry VIII's dissolution of the monasteries. The undercroft and chapel were part of the infirmary built between 1225 and 1250. 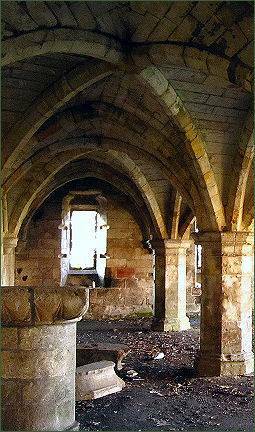 The interior of the undercroft, accessible from the gardens, has a rib vaulted ceiling and houses a collection of Roman and medieval stonework. 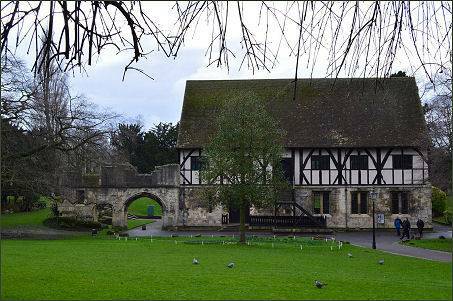 The two storey Hospitium is situated between the ruins of St. Mary's Abbey Church and the River Ouse and probably served as a guest house for visitors to the abbey or possibly as a barn. 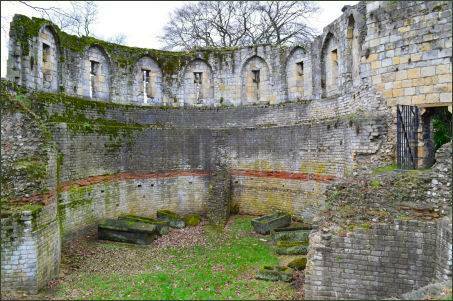 It once formed part of a group of buildings in the abbey grounds that included a brew-house, stables, mill and a boarding school. The oldest parts of the ground floor date back to around 1300, although the upper storey has been restored in modern times. The adjacent ruined gateway dates to the fifteenth century, and was probably once the entrance to a passage that ran towards the water-gate by the River Ouse. The York Observatory was built in 1832 and 1833 and is the oldest working observatory in Yorkshire.